Gumming is a symptom of incorrect polishing. It shows itself as marks being left behind during polishing. These marks can feel slightly sticky, and can simply be wiped off with a microfiber cloth. 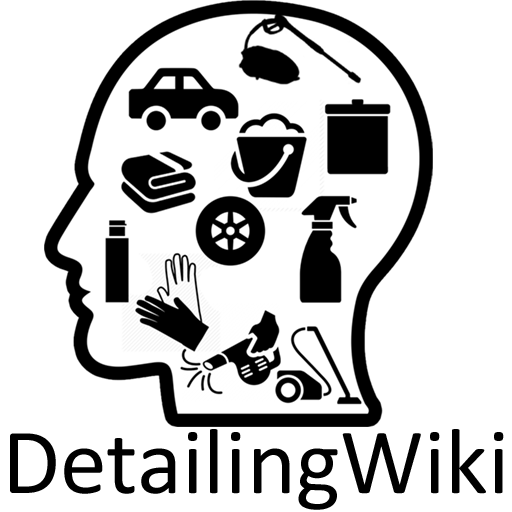 The name derives from the resemblance it has with marks when using a rubber eraser on a hard, smooth surface. Polish can leave a slightly sticky residue. Although it poses no threat to the surface you are working on, it is a sign of incorrect polishing technique and the occurrence of gumming should be an indication to change your polishing technique. 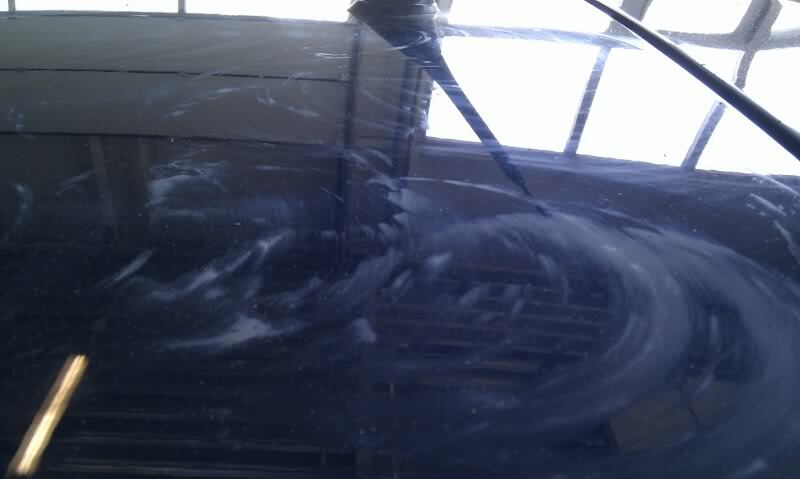 Gumming is caused by polishing liquid that is being used with to much friction, leaving behind oily patches of residue. Gumming is caused when the friction between the surface and the polishing pad is so little that the polish residue between the pad and the surface consists out of to many (semi)solid particles. The heat from the friction causes the residue on the pad to dry up to quickly, sticking to the surface. Once the pad moves away from the surface, the residue quickly dries up even more, leaving a mark behind where the polishing pad has been. To know how this looks, one can take a rubber eraser used to erase pencil lines, and rub a glass or smooth painted surface. Once the eraser is moved very quickly, the surface of the rubber will heat up and leave some residue on the smooth surface. This is also the reason why these spots are generally called “gumming”. These practices will help to cure gumming once it occurs. It is possible that one or two steps are enough to fix the issue, but there are some cases where all steps are needed to fully erase the problem. Try to avoid adding more polish. Although this seems to fix the problem at first, it will return very soon because only a few variables that cause gumming are solved. Not all. The added polish will also aid in the accumulation of paint and polish residue, increasing the severity of the gumming issue.